It is undeniably true that the surety bond is enormously beneficial for Canadian consumers. It can also be helpful for aspiring construction contractors, who want to attract new clients. Nonetheless, the surety bond places a great deal of strain on the contractor, while holding them to a much higher standard. If you’re unable to keep your client happy, there is a possibility that the client will file a complaint against you. This needs to be avoided at all costs. 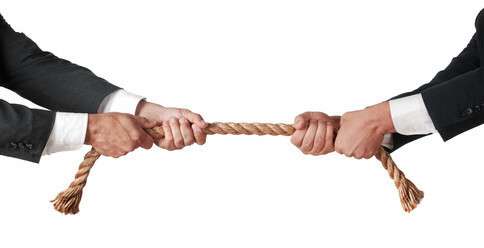 It is in your best interest to end disputes before the surety provider gets involved. Below, you’ll find tips for making sure that happens. Just because you are paying for the bond and going through the whole rigorous process, it doesn’t necessarily mean that the bond is going to protect you. In fact, these bonds were designed to protect the customer and ensure that they are treated fairly. If at any point during the project, you aren’t holding up your end of the deal the customer can file a complaint against you that will result in fines and loss of work. This is why it is imperative that you completely understand the bond you are signing and everything that it stands for. The more you understand the laws, regulations, and requirements of the bond, the better you will be able to follow them. Along with having to pay fines if a claim is successfully filed against you, there is a good chance that you won’t be able to get bonded again. Since obtaining bonds are a legal requirement for undertaking projects, it may be likely that you have to close down your business. While it is true that your job is to get the project completed, you should never neglect the client. Keeping the client satisfied is recommended. One way to ensure this happens is by speaking with this individual every step of the way. By speaking with the client, you will be able to keep them up to date, while letting them know what has been done and what needs to be done. At the same time, your conversation will give you the opportunity to learn about your client’s complaints, if they have any. Learning about the client’s grievances ahead of time will ensure you’re able to rectify the problem, before they can reach out to the surety provider. In the long run, this could help you save time and money. Being a general contractor comes with many responsibilities, with the main one paying suppliers, subcontractors and laborers. In order to prevent bond claims, you will need to make sure to pay our employees and all the above on time. There is nothing that will drive a supplier or subcontractor to file a claim against your surety bond faster than nonpayment. These individuals are working to provide the necessities to their family and employees, if you fail to pay them they will also be in arrears. Make sure you fulfill your obligations to your subcontractors and suppliers, by paying them on schedule. This will prevent problems, while also ensuring these entities will be willing to work hard for you! General contractors will tend to take on several projects at once. While this is okay, it can also cause some confusion and put you at risk of faltering one or all of the contracts. If you bid on a large development project and receive the winning bid, you should focus all of your attention on the project and avoid putting another project into production. Too many projects will only end in mismanagement and put you are risk of surety bond claims. When it comes down to it, Canadian consumers rely on their contractors to deliver a good performance. The project owner will not be able to fix problems with their properties. If they spot problems, they’ll file a complaint immediately. Therefore, you should always strive for excellence. While you might feel like you already deliver a good performance, you should remember that there is always room for improvement. Consult with your past clients and figure out precisely what you could’ve done better. This will help to ensure that your past mistakes are not repeated. Before the project gets underway, it is likely you will consult with the client and configure a schedule for the project at hand. While life is truly unpredictable, it is in your best interest to make sure your company does not stray from the path. Try your best to remain on schedule and always let your client know, if things must be prolonged. Telling them directly will ensure they do not file a complaint, if the deadline is passed and the project is not completed.